When it comes to managing diabetes, many wonder how they will need to adapt to their diabetic diet. The most common myth when it comes to diabetes and food is the ?diabetes diet? that prohibits sugar and other food products. Truth be told, that is not the case. It is however, important to follow and healthy, wholesome diet and eat in moderation in order to control weight and keep your blood sugar levels down. People with diabetes should follow the basic rules to the Australian Dietary Guidelines. By eating the recommended amount of food from the five good groups can provide you with efficient nutrients you will need to be healthy. It is important to recognise your own needs when it comes to food intake. You should see a credited nutritionist or dietitian when you are diagnosed with diabetes so that you are comfortable and empowered when it comes to which foods to choose. 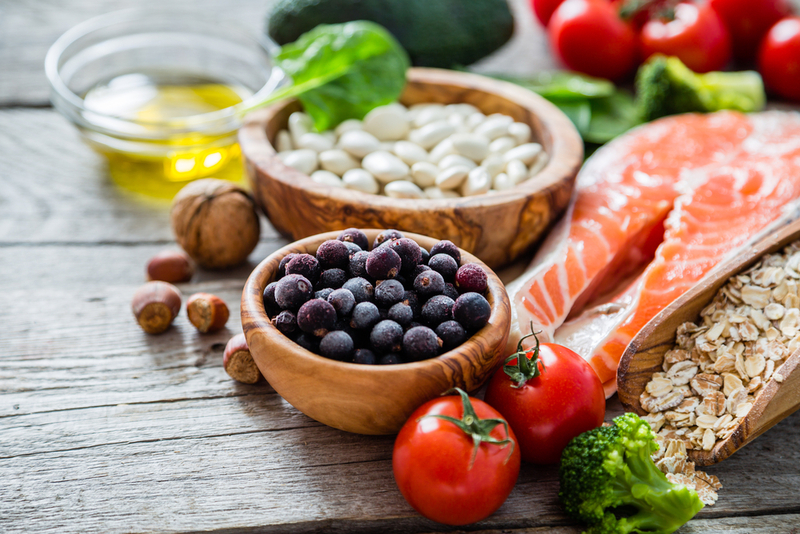 It is important that when it comes to fat, you choose healthy fats such as olive oil, fish and avocado. It is important to limit saturated fats as it raises you bad cholesterol levels (LDL levels). These fats are mostly found in animal foods. Coconut products and palm oil (mostly found in processed foods) are also saturated fats. Polyunsaturated and monounsaturated fats need to be consumed in small amounts. These include olive oils, avocado, nuts, seeds and nut spreads, fish, sesame oils. Carbs are the best energy source for your body as they break down in your body to form glucose. This glucose is used by your body, and your brain as an energy source. When the carbs are broken down and digested to form glucose in the bloodstream, your insulin will carry the glucose out of your blood and transport it to your muscles, liver and other cells when energy is needed. Carbohydrates will have the most effect or impact on your blood glucose levels. This effect will depend on the amount of carbs you eat and the type. All carbs are digested to form glucose, but some do so at a different rate than others. This is called the glycaemic index (GI) and is a way of describing how quickly a carb food is digested and absorbed into the blood stream. The low GI foods enter the blood stream slower than the high GI foods. It is therefore important to choose the low GI foods before the High GI foods. A healthy eating plan for diabetes can include some sugar. It's ok to have a little sprinkle of sugar, however foods that are high in added sugar and are poor sources of important nutrients should be consumed sparingly. You can even eat dessert, like this one.